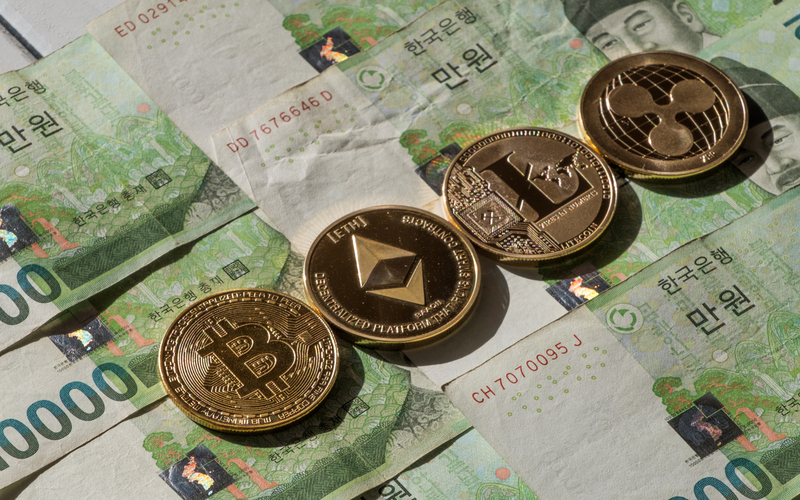 After a quiet start to 2018 and a significant contraction in the middle of the year, there is a considerable increase in Korean won (KRW) cryptocurrency trades. Despite this increase, the âkimchi premiumâ that existed in 2017 has yet to surface in cryptocurrency exchanges in South Korea. Since the start of October 2018, the cryptocurrency trading volume in South Korea has spiked. A chart by CryptoCompare shows KRW trading volumes on certain days in October a ccounting for almost 50 percent of the total market share. This recent trend is a marked departure from the norm established at the beginning of 2018. For most of the year, KRW cryptocurrency trading volume remained stagnant until the middle of the year when it contracted significantly. From June all the way to September, virtual currency trading volume in the country appeared to shrink. Image courtesy of Finder.com.au / CryptoCompare. This significant shrinkage in KRW cryptocurrency trading volume came after a series of hacks against virtual currency exchanges in the country. In June 2018, both Coinrail and Bithumb suffered cyber-attacks leading to the theft of millions in cryptocurrency. Some observers believe that one primary reason for the upswing in KRW cryptocurrency trading is the current turbulence in the stock market. Investors are reportedly moving to Bitcoin, which appears a lot more stable than the more traditional assets. In mid-2018, the country recognized virtual currency exchanges as legal entities. This move, in many ways, legitimized the burgeoning cryptocurrency economy in the country â" seeing as these platforms constitute a significant portion of the digital currency ecosystem. While the country continues to be a haven for virtual currency commerce and blockchain technology, financial regulators remain resolute on the ICO ban. Earlier in October, Bitcoinist reported on comments made by the FSC chairman to Parliament. According to the FSC chief, the unc ertainties surrounding ICOs makes regulating them potentially problematic. The comments from the top financial regulator come despite persistent calls for a reversal of the ICO prohibition. Do you think an increase in trading volume in South Korea could provide enough liquidity to spark the next significant Bitcoin price rally? Let us know your thoughts in the comment section below. Images courtesy of Shutterstock, Finder.com.au / CryptoCompare.